Both of us really love spinach dip- both the cold kind that involves ranch dressing packets and sour cream and the hot cream cheese-and-Parmesan one. As delicious as they are, though, they’ve been done a million times and they’re very decadent. We love making variations on classic recipes, and this recipe was no exception. 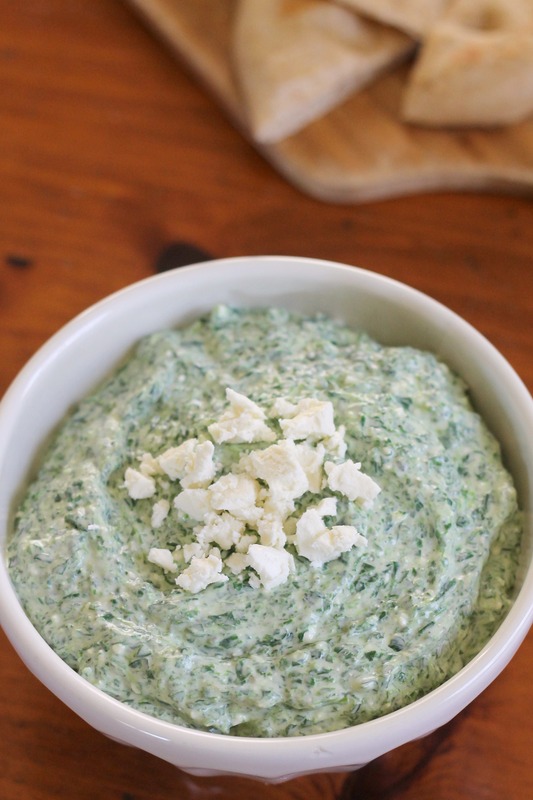 It incorporates some Greek flavors into the classic spinach dip: feta and oregano, as well as some lemon. 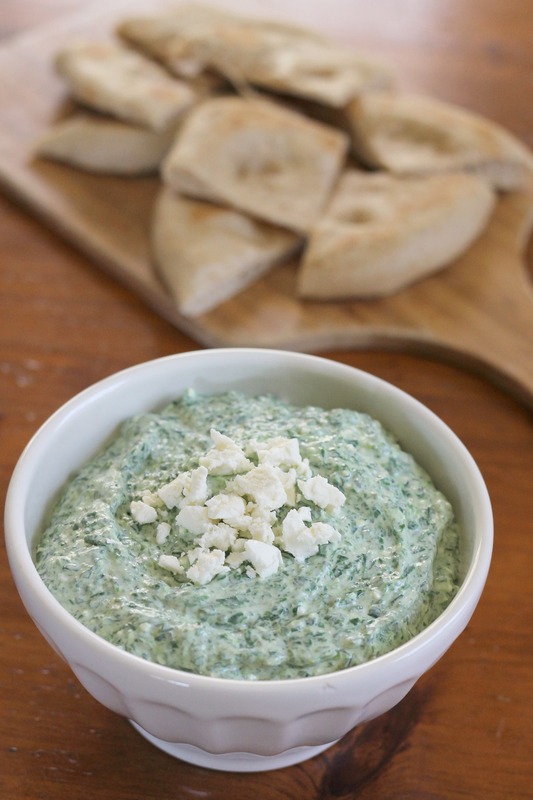 The combination of flavors creates a light, refreshing dip that I know we will be making again soon! We served ours with homemade whole wheat pita bread, but it would be great with pita chips, fresh vegetables, etc. It’s very easy to make (probably 10-15 minutes of work), so why not try it out sometime this week? Process all the ingredients in a food processor until well combined (about 1 minute). Transfer to a bowl and top with extra crumbled feta if desired. Enjoy! Yes, it’s really addictive. Three of us managed to eat most of the dip in one sitting. At least it has spinach!